The Jasic dispute was just one of thousands of labour disputes in China to erupt this year. What made it noteworthy was the workers’ understanding of the broader economic and social context in which the dispute occurred and, in particular, the role of the trade union. The highlight of the workers’ movement in China this year, and the labour dispute that attracted far more international headlines than any other, started with a simple demand by a group of factory workers in Shenzhen to set up a trade union. When the management at Jasic Technology retaliated by sacking the worker activists who were leading the campaign, and called the police when the workers attempted to re-enter the factory, the dispute quickly escalated. Around 30 workers and their supporters were detained on 27 July 2018, and four of the workers remain in custody today. The arrests led to an outpouring of support from student groups and Maoist organizations across the country, many of who came to Shenzhen to stand in solidarity with the Jasic workers. The authorities sought to suppress the movement through a series of mass arrests and disappearances (currently 29 people, including two trade union officials, remain in some kind of detention) but the campaign continues. 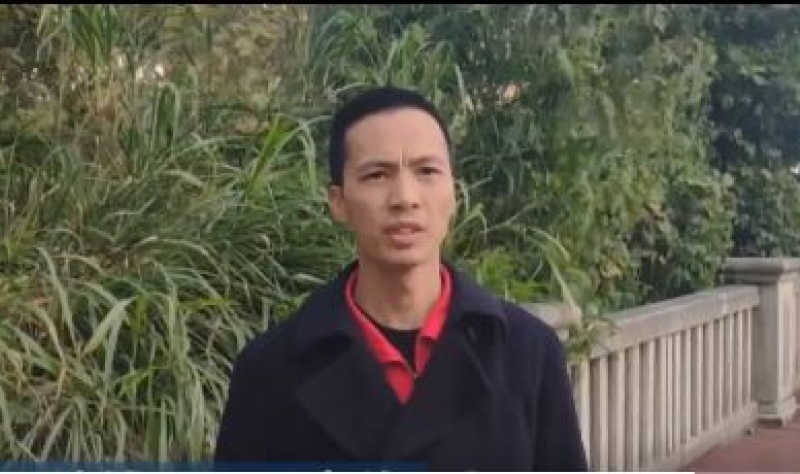 Former Jasic worker, Lan Zhiwei (pictured above), who was one of those detained on 27 July, explained in a video posted by the Jasic Workers Support Group on 22 December that support for the Jasic workers would never wither away because their demand for a union was shared by workers across China. Workers understand, Lan said, that their livelihoods and economic status will never improve without a strong union standing in solidarity with them. The Jasic dispute was just one of thousands of labour disputes to erupt this year. The vast majority of the incidents recorded on China Labour Bulletin’s Strike Map this year, for example, were relatively small-scale, localized disputes over specific economic issues such as wage arrears, lay-off compensation, low pay and social insurance arrears. In essence, the Jasic dispute was no different; workers at the factory complained of low pay, underpayment of social insurance and an abusive management regime. What made the case noteworthy however was the workers’ understanding of, and ability to articulate, the broader economic and social context that gave rise to their particular dispute. Crucially, they understood the important role of the trade union in advancing the lives of ordinary workers and their families. CLB has recorded numerous labour disputes this year in which the union could and should have played an effective role. In order to assess the work of China’s local trade union officials in each province, CLB telephoned officials in Guangdong to discuss seven specific labour disputes that had occurred in their districts in August. The following month, we called trade union officials in Jiangsu to get their response to eight of the labour disputes that took place in that province in September. In the coming months, we will also publish the results of interviews with trade union officials in Sichuan and Anhui. And in due course, we will publish a comprehensive analysis of these cases and assess to what extent the trade union reform demanded by the Party has been a success and discuss what more needs to be.